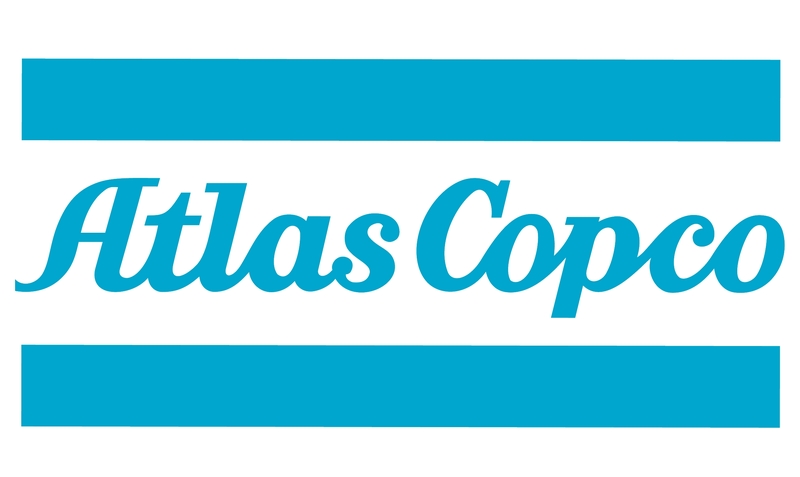 Atlas Copco Controllers (Electric assembly tools) » Entagear Co., Ltd.
Based on the Power Focus 4000 controller, the IRC Focus was designed to run Tensor STB battery assembly tools. With its built-in Bluetooth adapter, it eliminates the need for an external communication kit. It also participates in controlling the station or line segment. The IRC Focus and associated software packages provide easy-to-understand information for everyone, from operators to plant managers. 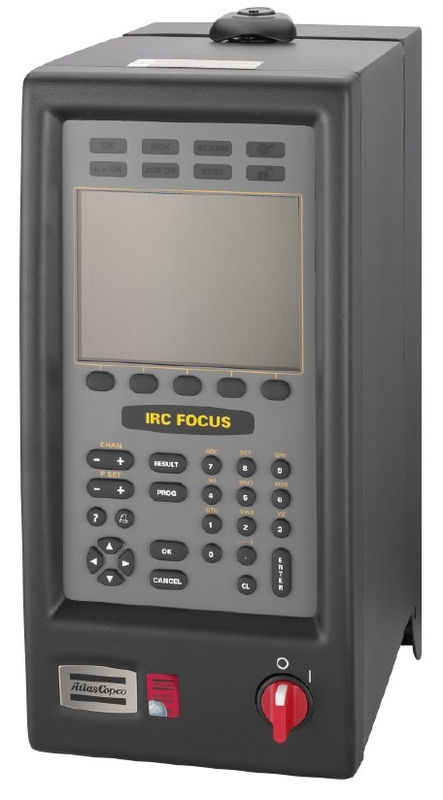 The IRC Focus is based on standard hardware and software components which, when combined, will fulfill all demands, from the most basic stand-alone installation to full integration into the factory network. The modules fit together using the “plug-and-play” concept. Assembly process control and quality assurance is made easy by advanced control functions. On receipt of assembly information, the IRC Focus automatically selects the correct tightening sequence and parameters. The operator is guided through the process, avoiding mistakes that can result in costly quality problems. Advanced process control and monitoring functions make it easy to view and collect data using the Internet infrastructure. • Supports software keys (RBU, rapid backup unit) Silver and Gold to run a battery assembly tool functionality upgrade. This eliminates the need to replace hardware, thus reducing capital expenditures. • ModBusPlus support for robust industrial communication. • Graph version gives you full stand-alone programming possibilities featuring a color display and a full keyboard. 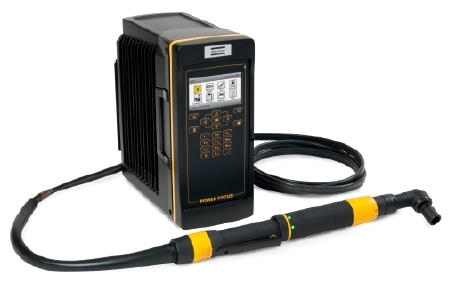 When networked, the Graph can function as a programming terminal for other Power Focus units as well as providing excellent operator feedback with diverse visualization options. 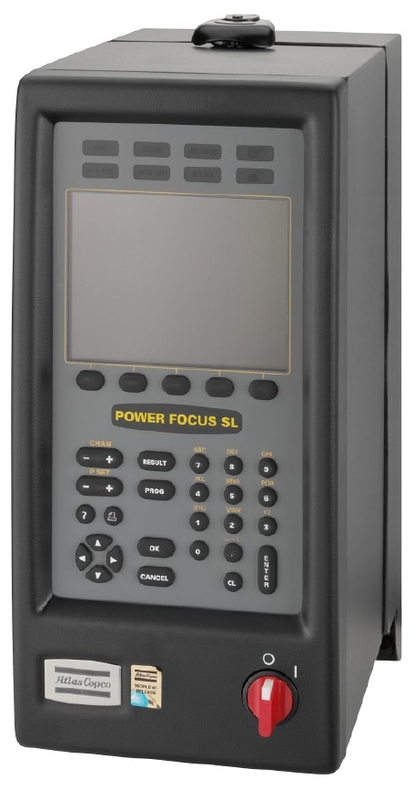 The Power Focus 4002 controls tools Tensor SL. With its built-in functions, it also participates in controlling the station or line segment. The Power Focus and associated software packages provide easy-to-understand information for everyone, from operators to plant managers. The Power Focus is based on standard hardware and software components which, when combined, will fulfill all demands, from the most basic stand-alone installation to full integration into the factory network. The modules fit together using the “plug-and-play” concept. Assembly process control and quality assurance is made easy by advanced control functions. On receipt of assembly information, the Power Focus automatically selects the correct tightening sequence and parameters. The operator is guided through the process, avoiding mistakes that can result in costly quality problems. Power Focus is a modular range of controllers, with full flexibility, designed for applications ranging from single spindle hand-held operations to fixtured multiple nutrunnning systems. Advanced process control and monitoring functions make it easy to view and collect data using the Internet infrastructure. • Supports software key (RBU, rapid backup unit) Bronze, Silver, Gold to run an electrical assembly tool simplifying functionality upgrade. This eliminates the need to replace hardware reducing capital expenditures. • Compact version offers full functionality at a lower cost, but requires a PC with the ToolsTalk PF software for advanced process setup. An integrated 6 key keyboard and LED display give the possibility for basic programming and torque and angle visualization for operator feedback. • Ethernet/IP support for robust industrial communication. • Easy to operate. Hight definition color screen. Easy-to-use keypad. Clear operator feedback on screen. • Maximum uptime. Same controller hardware regardless of tool model. Upgrade the unit in a few seconds. Smart software management.